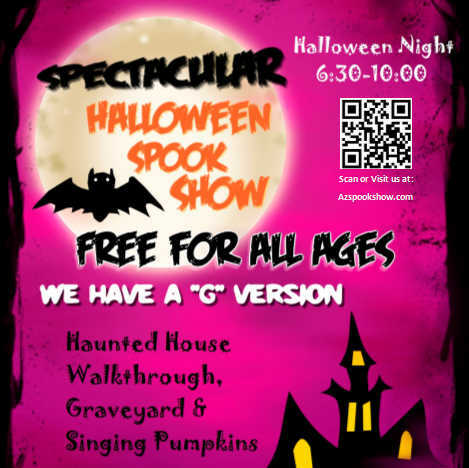 Spectacular Halloween Spook Show is a Haunted Attraction located in Marana, AZ. We’re just two Dads and some good friends that love Halloween. We started this thing a few years back and it’s grown into a yearly event. We keep doing it to give the kids somewhere fun and safe to trick-or-treat. Every year we like to add a bit more to keep it fresh and exciting. So swing on by, say hi, and enjoy a little Halloween scare with us!